Kingsport Chamber offers toast of congratulations to the model city at Annual Dinner! 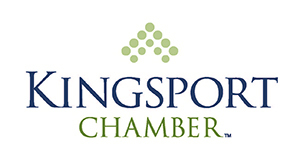 NOTE: Attached please find Bob Feathers photo, Lori Payne photo, Kingsport Chamber Annual Dinner logo, Kingsport Chamber logo and Cheers to Kingsport logo. KINGSPORT, Tenn. – The Kingsport Chamber celebrated another great year for Kingsport by offering a toast of congratulations to the model city at its Kingsport Chamber 72nd Annual Dinner on Friday night! Eastman served as title sponsor and WJHL News Channel 11/ABC Tri-Cities was the host sponsor. Ballad Health presented the entertainment, Eastman Credit Union served as concert hall and stage sponsor, Contour Glass, East Coast Wings Grill and WorkSpace Interiors were the associate sponsors, and Food City was the printing sponsor. The event remains the largest Chamber annual dinner in the nation. The evening’s theme was “Cheers to Kingsport!” as community and business leaders showcased and celebrated another strong year of growth and accomplishments for the Kingsport community. As part of the evening’s festivities, the Kingsport Chamber celebrated a number of city developments, community projects, school highlights, and business endeavors and achievements that were accomplished or announced last year. Sullivan County officials celebrated the ground breaking of West Ridge High School. Expected to open in 2020, the impressive, technologically-advanced $59.3 million new school will consolidate students from Sullivan Central, Sullivan North and Sullivan South high schools. West Ridge is part of Together for Tomorrow, an unprecedented $140 million jointly proposed school facilities plan between Kingsport, Bristol and Sullivan County that will define education opportunities and shape the futures of area students for years and years to come. In addition to the new high school, a new middle school will be constructed in Sullivan County, a new middle school will be built in Bristol, Kingsport will add a new regional science and technology building at Dobyns-Bennett High School and the city will convert Sullivan North High School into a new middle school, among other school changes, renovations and plans. Together for Tomorrow is a significant investment in STREAM (science, technology, reading, engineering, arts and mathematics) and Career and Technical curriculums countywide. This is vital to sustaining and growing businesses, driving economic development and, most importantly, providing youth with the opportunities they deserve and need to compete in today’s global economy. The city of Kingsport, Kingsport City Schools and Dobyns-Bennett High School celebrated the groundbreaking for the new Regional Science and Technology Center on the school’s main campus. A $23 million investment, the impressive three-story, 70,000-square-foot facility will serve as the new entrance to D-B and will include 18 new classrooms/labs (bringing the total for the school to 128 classrooms), two teaching work spaces, six student work spaces, one TEAL (Technology Enhanced Active Learning) lab, one large research lab, four small research labs, a student café, an atrium (which could possibly include performance space), outside spaces for robotics and environmental learning, and administrative offices. The new facility will raise the D-B capacity to support 2,500 students at 85 percent utilization. Expected to open in 2019, the new addition will be triangular in shape, like an arrowhead, and will contain a lot of glass. The expansion is funded by proceeds from a $140 million countywide bond as part of the Together for Tomorrow campaign. Eastman received the Extraordinary Employer Support Award from the Department of Defense program, Employer Support of the Guard and Reserve (ESGR). This is only the second time a company in Tennessee has been selected to receive this special recognition. ESGR’s Extraordinary Employer Support Award was created to recognize sustained employer support of National Guard and Reserve service. In 2008, Eastman received the Tennessee Pro Patria Award; and, in 2013, Eastman was recognized nationally as one of 15 companies receiving the Secretary of Defense Employer Support Freedom Award. Eastman also earned the 2018 Military Friendly® Employer and Top 10 Brand designations by Victory Media, publisher of G.I. Jobs®, STEM JobsSM, and Military Spouses. Eastman was designated a 2019 Military Friendly® Employer and Military Friendly® Brand based on publicly available data from federal agencies; personal opinion data from veteran employees or students; and proprietary Military Friendly® survey data from participating organizations. For more than a decade, the Military Friendly® ratings have set the standard for companies and colleges that provide positive employment and education outcomes for veterans and their families. Eastman was recognized by the Ethisphere® Institute as a 2018 World’s Most Ethical Company® for its commitment to lead with the highest ethical business standards and practices. Always raising the bar on ethical leadership and corporate behavior, Eastman builds trust and confidence with its stakeholders by fostering a culture of ethics, honesty, integrity and transparency at every level of the company. This marks the fifth consecutive year Eastman has made the prestigious list. The United States Environmental Protection Agency (EPA) recognized Eastman with an ENERGY STAR® Partner of the Year Sustained Excellence Award for continued leadership and superior energy efficiency achievements. This marks Eastman’s seventh ENERGY STAR® Partner of the Year Award and fifth Sustained Excellence recognition. The accolade reaffirms Eastman’s commitment to managing natural resources, which continues to drive sustainable and impactful improvements in energy performance, resulting in energy intensity reductions, avoided costs and lowered emissions. Ballad Health officially launched on February 2, 2018, following nearly three years of work on the part of health system leaders, state officials and community advocates to create a region-wide health improvement organization. In its first year, Ballad Health has worked to improve the community's health status, expand access to healthcare services, bolster healthcare quality and advance its financial stability and performance. The health system has taken a number of concrete steps to support its efforts, including developing new community-wide partnerships, refining its services, opening new locations, reaching new heights in third-party recognitions and validations and strengthening its infrastructure. Through every step, Ballad Health's team members and physicians remain committed to serving the people of Northeast Tennessee and Southwest Virginia. AGC Glass North America announced a $40 million expansion of its Church Hill facility, a move that will create 85 new jobs. The 100,000-square-foot addition will include a state-of-the-art MSVD coater that will serve the residential and commercial glass markets. AGC is the world’s largest glass manufacturer. Strategic Behavioral Health celebrated the grand opening on its newest psychiatric care and substance abuse treatment facility, Creekside Behavioral Health, in Kingsport. The $20 million, state-of-the-art hospital will create nearly 250 new jobs for the model city. A 72-bed, acute behavioral health inpatient hospital, Creekside Behavioral Health is SBH’s eleventh facility in the nation and its first in Tennessee. The hospital employs a team of highly-trained psychiatrists, psychologists, therapists and nurses who offer mental health services and substance abuse programs to seniors, adults, children and adolescents both locally and throughout the state. The beautiful new facility spans more than 54,000 square feet, and features five units, two courtyards, two classrooms, an on-site pharmacy, private ambulance entrance and on-site outpatient suites. BAE Systems announced it received a $96.6 million contract modification – bringing the total contract value to $158 million – from the U.S. Army to design, build and commission a natural gas-fired steam facility at the Holston Army Ammunition Plant (HSAAP). The modernization project will replace an existing coal-fired power supply and greatly reduce the facility’s environmental footprint when the new natural gas plant is commissioned. The construction of the natural gas facility is part of a long-term, U.S. Army-driven modernization requirement for the HSAAP installation, in part meant for more efficient energy production. The project is estimated to be completed in late 2021. Anita’s Snack Foods opened its first east coast plant in the United States in Kingsport. Headquartered in San Bernardino, California, the company plans to hire more than 250 people and invest more than $7.5 million (including a $2 million expansion) in the 88,000-square-foot facility located in the Gateway Commerce Park at Tri-Cities Crossing. Miyake Forging North American Corporation celebrated the opening of its $13.7 million plant in the Phipps Bend Industrial Park. The 45,000-square-foot facility created 60 new jobs for the community. A Japanese-based company, Miyake Forging manufactures automotive bearing parts and components that facilitate movement in machines, most notably automobiles. TEC Industrial received the Governor’s Award of Excellence for Workplace Safety and Health from the Tennessee Department of Labor and Workforce Development. The prestigious honor recognized TEC Industrial’s commitment to meeting and exceeding the standards in providing a safe and healthy work environment. A leader in a full-range of industrial construction, maintenance and project services, TEC Industrial Maintenance & Construction was again named to Engineering News-Record’s Top 600 Specialty Contractors listing. The company ranked number 136, up from 200 last year. The national publication also marked TEC Industrial’s debut on the Top 50 Firms in Mechanical list, coming in at 49. Holston Medical Group announced it has been granted state approval to invest nearly $10 million to develop Meadowview ASC (ambulatory surgery center). In addition, HMG will acquire approximately $1.8 million in medical equipment. The center will occupy 10,000 square feet on the second floor of HMG’s current Meadowview facility and will have three rooms that can be used either as surgery suites or as procedure rooms (for endoscopy & some minor procedures). The new surgery center will create 35 new jobs for the Kingsport community, approximately 22 patient care staff and 13 non-patient care staff. These are specialized services in the healthcare fields and are well compensated. It will also be contracting with a number of providers to provide anesthesiology, pathology and other services. Projected to open in 2019, the center is expected to perform more than 5,100 cases per year, with 65 percent of those cases performed on residents of Sullivan county. RMC Advanced Technologies, a Quebec-based advanced manufacturing company, announced plans to locate its U.S headquarters and build a $7 million manufacturing facility in the Phipps Bend Industrial Park in Hawkins County. The major investment will also create 54 new jobs. The composite components manufacturer offers products for the heavy-duty truck, coach, transit and bus, machinery, agriculture and wind energy markets. Microporous broke ground for a $20 million expansion of its world headquarters in the Tri-County Industrial Park in Sullivan County. The 40,000-square-foot addition will add 36 new jobs to the company’s current 134-employee workforce. Microporous produces battery separators. Master Tool & Die celebrated the completion of a major expansion for its Kingsport plant. The $557,000 investment in facility upgrades created 25 new jobs. The family-owned business produces custom CNC machining, welding, fabrication and other services for companies throughout the Southeast United States. Kingsport’s Meadowview Marriott Conference Resort & Convention Center welcomed more than 321,000 guests, held more than 750 events, grew overall group room nights by 2,200 over the previous year and generated a $35.3 million impact on the local economy. In addition, the global award-winning resort continued to achieve a high level of guest overall satisfaction and associate engagement and was recognized as a “mover and shaker” and achieved top honors in RevPar growth for Marriott’s eastern region. Cattails at MeadowView also welcomed more than 20,000 rounds of golf. NETWORKS announced the creation of 608 new jobs in new and existing industry and more than $530 million in capital investment for the region. A NEW CITY HALL FOR KINGSPORT!! Kingsport announced it has purchased the Regions Bank building in downtown Kingsport and has plans to turn the six-story structure into a new City Hall. The move will consolidate many city offices throughout the community into one location and greatly improve operational efficiencies and customer service to Kingsport residents. Regions Bank will be moving its Kingsport headquarters to another location downtown. As part of the OneKingsport effort, city officials announced plans to conduct a feasibility study for a $12 million minor league baseball stadium at Brickyard Park, located on the General Shale property in downtown Kingsport. In addition to becoming the home of the Kingsport Mets, the 3,500- to 4,500-seat facility could host other year-round events, including concerts, festivals and other baseball games and tournaments. A pedestrian bridge connecting Brickyard Park to downtown is also being planned. The new venue is expected to attract thousands of residents and visitors and have a significant economic impact on downtown. Kingsport issued bonds for a number of key city projects, including a new outdoor pool at the Kingsport Aquatic Center ($2.3 million), Bays Mountain Park & Planetarium enhancements and new animal habitats ($1.2 million), renovations to the Kingsport Public Library ($225,000), a new City Hall and renovations to the Justice Center ($3.7 million), upgrades at the water treatment plant ($2 million), water line upgrades ($1.4 million), and school facilities maintenance ($1 million). Kingsport’s actual sales tax collections for 2018 finished at $17.8 million, a 3.8 percent increase over the previous year and five percent higher than budget projections. Real estate was up 16 percent. Kingsport and Sullivan County led the region in housing growth as reported by the Northeast Tennessee Association of Realtors. CBS Money Watch named Kingsport as the second best place in the United States where your pay goes furthest. Kingsport continues to maintain the lowest cost of living in the region and is among the best in the state and nation. The exceptional Kingsport city staff managed $86 million in projects targeted at improving infrastructure and quality of life, keeping the projects within estimates, on-time, and within budget, including $2 million for paving enhancements. Kingsport was recognized on a national stage as a High Performance Government at the International City-County Management meeting in Baltimore. In recognition for its innovative approach to service delivery, Kingsport garnered the 2018 Award for Excellence in Governance from the Tennessee Municipal League. The prestigious state honor was given to Kingsport for its innovative approaches to local governance by involving citizens, utilizing new technology, and leveraging a strong relationship between the elected board and professional staff. Kingsport was once again reaccredited as an internationally recognized Safe Community by Safe Communities America. Kingsport is one of only 19 internationally recognized Safe Communities across the nation and remains the only one with the distinction in Tennessee. The accolade, which recognizes the city’s efforts to identify and address safety issues, was garnered thanks to the efforts of the Safe Communities Sullivan County Coalition which was developed by the Kingsport Area Safety Council. Kingsport celebrated the opening of a new children’s playground next to the Kingsport Carousel in downtown Kingsport. The $300,000 park features a number of playground equipment pieces that are ADA accessible for kids of all ages regardless of their abilities. These include a web crawler, inclusive spinner, crawl tunnel, stepping pods, a music area with congas, chimes and a xylophone, and a tree house structure that has a slide, a bridge and a climber. Kingsport’s Bays Mountain Park received designation as a National Recreation Trail from the United States Secretary of the Interior Ryan Zinke. The prestigious honor will help the nation’s largest city-owned park further promote its 40 miles of scenic trails – paths that are regionally known for being ideal for hiking, mountain biking (32 miles approved for mountain biking) and other recreational outdoor pursuits. Kingsport announced plans to build a $2.2 million Miracle Field at Brickyard Park. The Miracle League, which is free and non-competitive, removes the barriers that keep children and young adults with mental and physical disabilities off the baseball field and lets them experience the joy of America’s pastime. Since the main barriers for these athletes arise from the natural grass fields used in conventional leagues, Miracle League teams play on a custom-designed, rubberized turf field that accommodates wheelchairs and other assistive devices. This will be the first Miracle League complex in Northeast Tennessee. Kingsport City Schools (KCS) was honored with the Best Communities for Music Education designation from the National Association of Music Merchants (NAMM) Foundation for its outstanding commitment to music education. The prestigious designation is awarded to districts that demonstrate outstanding achievement in efforts to provide music access and education to all students. Kingsport’s Dobyns-Bennett High School has been named by U.S. News & World Report as one of the Best High Schools in the United States in the magazine’s 2018 Best High Schools rankings. The prestigious list is based on a school’s enrollment, student ethnicity, location, school type and results of state assessments, as well as Advanced Placement and International Baccalaureate tests. Dobyns-Bennett is ranked in the top ten percent of all high schools nationally. Seventy-two percent of Dobyns-Bennett students who completed an AP test scored at least a three or above. An AP exam score ranging from a three to a five qualifies students for college credit in the subject area. DOBYNS-BENNETT BAND – THE BEST IN THE NATION! Kingsport’s Dobyns-Bennett High School Competitive Marching Band finished first among all bands in the AAA class and tenth overall at the 2018 Bands of America Grand National Championships in Indianapolis. This marks the third time the Dobyns-Bennett Band made the finals in the prestigious national competition, the most competitive High School Marching Band event in the country. The band was also invited to participate in the 2020 Tournament of Roses parade in Pasadena, California. Three Kingsport City Schools elementary schools were named among Tennessee’s best schools by the Tennessee Department of Education. John Adams Elementary, Thomas Jefferson Elementary and Andrew Johnson Elementary received the designation of 2018 Reward Schools based on results from the 2017-18 TNReady exam. The prestigious honor is the top designation a school can earn in Tennessee. The schools receiving the designation were those identified as improving overall student academic achievement and student growth for both all students and for student groups. In 2018, 318 schools in 85 school districts (about 20 percent of schools in the state) earned Reward Status. Nine area high school students were named as semifinalists in the 64th Annual National Merit® Scholarship Program, a program designed to identify and honor the top high school students in the United States. The students named were Sullivan South High School’s Madison McKinney, daughter of Suzanne Williams; Kingsport homeschooled HomeLife Academy’s Evan Dunn, son of Rocky and Kati Dunn; and seven Dobyns-Bennett High School students: Matthew Barnicki, son of Scott and Brenda Barnicki; Brogan Beckner, son of James and Sherry Beckner; Julian Chastain, son of Jerry and Karen Chastain; Nikhil Chatra, son of Ashok and Shubha Chatra; Allison Glynn, daughter of Theodore and Bethanie Glynn; Rachel Rivera, daughter of Estuardo and Tamara Rivera; and Grant Wilkins, son of Michael and Elizabeth Wilkins. The impressive students will compete with the top high school students in the nation for some 7,500 National Merit Scholarships worth approximately $31 million that will be offered in spring 2019. Two Sullivan County students garnered first and second place in the national SkillsUSA competition. Sullivan South High School senior Stephanie McInturff won first place for T-shirt design and Sullivan Central High School sophomore Anetta Villa won second place in restaurant service. The event is part of the SkillsUSA National Leadership and Skills Conference which showcases career and technical education students. More than 6,300 students from all 50 states, the District of Columbia and Puerto Rico competed in more than 100 trade, technical and leadership fields. Several other Sullivan County students also competed and placed at the event, including Sullivan East High School’s Tyler Lopez, Sullivan South’s Logan Mowdy, and Sullivan Central’s Abbi White, Allie Orton, Taylor Haun, Hannah Ramsey, Jonathan Tyson and Ethan Plummer. Students from Dobyns-Bennett High School and D-B EXCEL competed at the international underwater robotics competition in Seattle, Washington. They were the first students from Tennessee to compete at the annual event. The D-B EXCEL team garnered an innovation award for a hydraulic lift mechanism on its robot. More than 1,200 students from around the world competed at the event, which was hosted by Marine Advanced Technology Education (MATE). Members of the Dobyns-Bennett H2O team included Ryan Barganier, Chase Bishop, Tiffany Fish, Makaila Freeman, Hayden Hufford, Alexander Long, Savannah Miller, and advisors Luke Douthat and Amanda Blackburn. Members of the D-B EXCEL’s R-Mateys’ team were Gavin Bentley, Braden DeBruin, Quintin Folkner, Shelby Rose, Richard Vautrin-Hickam, Ashlee Wall, and advisor Antonia Adinolfi. Your Kingsport Chamber’s STREAMWORKS program, which is sponsored by Eastman, supported both teams. Kingsport City Schools (KCS) received the highest marks from the Tennessee Department of Education Report Card for student education and growth. The report card includes a variety of information and new rating scales providing data on several different measures. These ratings cover a range of topics (such as academic performance and attendance) and reflect the new type of accountability from federal and state education departments. Overall, KCS rated a “5” out of “5” (the highest measure) in the category of Overall Student Growth. KCS rated a “5” in the category of mathematics growth. This takes into account student performance in a variety of math classes in grades 3-12. KCS rated a “5” in the category of social studies growth. This reflects student performance on state assessments for grades 3-8 social studies and U.S. history. The percent KCS science students scoring a level of on-track or mastery (69.3 percent) was almost 15 percent points higher than the state average. The assessments included in this rate include grades 5-8 science, biology I and chemistry. The KCS graduation rate of 94.8 percent was over 5.5 percentage points higher than the state average of 89.1 percent. Additionally, KCS graduates enrolling in a post-secondary program in the fall following graduation (69.3 percent) was also over five percentage points higher than the state average of 64.1 percent. The average KCS ACT composite score of 22.4 was 2.3 points higher than the state average of 20.1. Kingsport City Schools ranked as the Best Place to Teach in Tennessee according to the annual Niche.com ranking of public schools in the state. John Adams Elementary School was ranked number one and Theodore Roosevelt Elementary School was ranked number two in Best Elementary Teachers with Kingsport City Schools ranked number two overall in Best Elementary Teachers. Ross N. Robinson Middle School was rated number five for Best Middle School Teachers. Kingsport was also rated as one of the safest school districts in the state. Kingsport’s Dobyns-Bennett High School ranked as the Best High School in the region and tenth in the state according to Niche.com. Dobyns-Bennett also ranked third for Best High School Teachers in Tennessee. The United Way of Greater Kingsport fights for the health, education and financial stability of every person in our community, raising in excess of $3.5 million for the region. The Junior League of Kingsport celebrated 60 years of making a profound and lasting difference in Kingsport. Since its founding in 1958, this incredible organization of exemplary and dedicated women leaders has invested more than $650,000 in community projects. Your Kingsport Chamber’s Membership program attracted more than 50 new members and topped $400,000 in membership revenue and it hosted 24 ribbon cuttings and groundbreakings. These companies included: Appalachian Cultural Music Association Mountain Music Museum; Anita’s Snack Foods; Burgerim; Creekside Behavioral Health; City Electric Supply; Cora Physical Therapy; Crystal City Townhomes; Do Good GOODS; Eastman Credit Union; Farmers Home Furniture; GRIFOLS; Kingsport Pediatric Dentistry; Luttrell Staffing Group; Mad Greek; Master Tool & Die; Meade Tractor; Mercantile on Broad; PETWorks; Popeyes; Powell Valley National Bank; RCAM Academy; Surf N Brew; The Villas at River Bend; and Tranquility on Center Salon, Spa & Boutique. The membership department also created a new fundraiser this year. BrewHaHa: A night of pizza, beer and laughs! which had a sold-out crowd of more than 200 people. Visit Kingsport reclaimed a piece of Kingsport’s History with its ‘Home to the ORIGINAL Long Island Iced Tea’ campaign. The marketing effort resulted in over 27 million impressions and more than $1.3 million in global media value. And Golf Channel’s nationally televised World Long Drive Tour’s Tennessee Big Shots was held in Kingsport at Cattails MeadowView. The event, which benefitted Niswonger Children’s Hospital, brought substantial national attention to the city. In addition, Visit Kingsport supported 41 meetings and conventions with an estimated economic impact of $19.2 million and hosted 25 sporting events with an estimated economic impact of $23 million. Kingsport’s lodging tax collections also surpassed $1.8 million for the third consecutive year. Fun Fest celebrated its thirty-eighth year with more than 120,000 attendees from 35 states and 142 Tennessee cities enjoying more than 130 events and activities, most of which were free of charge. Fun Fest was also voted as a Top 20 Event in the Southeast by the Southeast Tourism Society and was named as East Tennessee’s Best Festival in the Best of Tennessee list in Tennessee Magazine. In addition, the popular festival was voted as the Best Event in the Kingsport TimesNews’ 2018 Readers' Choice Awards. Fun Fest’s total economic impact on Kingsport exceeded $6 million. Your Kingsport Chamber’s nationally-recognized Keep Kingsport Beautiful (KKB) program received another Award of Excellence from Keep America Beautiful. KKB also received a $95,000 Special Litter Grant from the Tennessee Department of Tourism to help with the city’s litter prevention efforts and it hosted Clean Sweep Kingsport, an event that witnessed more than 330 volunteers contributing nearly 1,000 volunteer hours valued at more than $24,000. Your Kingsport Chamber’s Workforce Development/Education program graduated 360 seniors as Tennessee/Virginia Scholars. The Kingsport Chamber, the city of Kingsport and Kingsport City Schools also started working together this past year on a new initiative – Project Hope – involving Roosevelt Elementary School, where hope is being brought to students who come from one of the lowest socio-economic backgrounds in the city. The Roosevelt Elementary Leadership Academy is having a profound and lasting impact on these students lives. In partnership with Eastman and Visit Kingsport, your Kingsport Chamber’s STREAMWORKS program announced Kingsport will host the 2019 MATE (Marine Advanced Technology Education) International ROV (Remotely Operated Vehicles) Competition. More than 2,000 students, judges, officials and family members (more than 80 teams) from 50 countries around the world will travel to Kingsport for the prestigious three-day event (June 20-22). STREAMWORKS also hosted the largest LEGO robotics competition in Tennessee – the “Model City FIRST LEGO League ‘Into Orbit’ robotics competition qualifier” and “FIRST LEGO League Jr. ‘Mission Moon’ Expo.” STREAMWORKS was a also vital partner in developing Dobyns-Bennett High School and D-B EXCEL’s underwater robotics teams. In addition, STREAMWORKS announced Kingsport will host the Appalachian Highlands MATE ROV Regional Competition. STREAMWORKS continues to collaborate with industry and the school system to provide relevant extracurricular STEM based activities for k-12 students to help prepare them for a successful and meaningful career in the twenty-first century workforce. Your Kingsport Chamber’s legislative affairs committee reviewed more than 1,000 pieces of legislation and took positions on several bills that impacted business. The program also hosted ten events with local, state and national elected officials and hosted one-on-one meetings with each candidate running for Governor. Your Kingsport Chamber’s Leadership Kingsport program’s 33 class members presented six Community Impact Projects, ideas and efforts that seek to sustain the economic vitality and enhance the quality of life for our City. These included: Safe Communities America, Capacity Building for Organizational Sustainability, Kingsport History Museum, Senior Center/Renaissance Center, Kingsport Farmer’s Market and Helping the Kingsport Homeless. Forty-two sophomores graduated from the S.H.O.U.T. !® Youth Leadership program. Kingsport Leadership Programs also hosted “Catch Me If You Can,” a cybersecurity conference featuring Frank Abagnale. Your Kingsport Chamber’s small business program, the Kingsport Office of Small Business Development & Entrepreneurship (KOSBE), in partnership with the Knoxville Chamber, launched the inaugural Propel Mentor/Protégé Program featuring GrowthWheel, which is a one-of-its-kind opportunity designed for woman-, veteran-, and minority-owned small businesses and disadvantaged businesses including rural, economic or social disadvantage. There were eight participants. In addition, KOSBE provided counseling and training to more than 160 individual clients; assisted in record capital formation of more than $10 million dollars; held 22 training events; supported 9 new business starts; and helped create 43 new jobs and retain 49 jobs. Thanks to the leadership efforts of Healthy Kingsport, Kingsport became the first city in the United States to log 6.7 million miles of physical activity in less than a year’s time. (The goal was two million.) Kingsport is the first city in America to accomplish this feat! This nationally-recognized program also hosted the region’s largest health and wellness expo with more than 2,500 participants at its Walk for Wellness Expo and supported 70 organizations in becoming a tobacco free campus with 751 associated campuses, positively impacting 42,138 employees/parishioners. To date, more than 280 Kingsport businesses and organizations are part of Healthy Kingsport’s Live SugarFreed effort with 97 not selling, providing or promoting sugary sweetened beverages, positively impacting approximately 20,000 people. THANK YOU – CITY OF KINGSPORT! A Note of THANKS and CONGRATULATIONS! Your Kingsport Chamber strongly applauds and congratulates its outstanding membership and the exceptional and visionary leadership of Kingsport Mayor John Clark, the Kingsport Board of Mayor and Aldermen, City Manager Jeff Fleming and the phenomenal city team for these great accomplishments and for the city’s continued and successful partnership with your Kingsport Chamber! “The past year has been one of the most humbling experiences in my professional and personal life,” Feathers added. “It has been an honor to work alongside both our members and the Kingsport Chamber staff on a head-spinning number of program initiatives. As evidenced by the magnitude of this celebration marked by the 1,700-plus attendees representing more than 1,000 businesses from all over the region, each and every endeavor your Kingsport Chamber undertakes is extraordinary. Host Sponsor: WJHL News Channel 11 and ABC Tri-Cities. Concert Hall & Stage Sponsor: Eastman Credit Union. Associate Sponsors: Contour Glass; East Coast Wings Grill; and WorkSpace Interiors. Media Sponsors: ABC Tri-Cities; Cumulus Tri-Cities; Daytime Tri-Cities; Kingsport TimesNews; Lamar Advertising Tri-Cities TN/VA; Spectrum Reach; The Business Journal Tri-Cities TN/VA; VIPSeen; and WJHL News Channel 11. Red Carpet Sponsors: Daytime Tri-Cities and VIPSeen. Table Sign Sponsor: Mycroft Signs. Creative Design Sponsor: ARO Creative. Excellence: ABC Tri-Cities; Appalachian Power; Ballad Health; Eastman; Eastman Credit Union; Thompson Construction Group; and WJHL News Channel 11. Hall of Fame: AccuForce; Appalachian Community Federal Credit Union; BlueCross BlueShield of Tennessee; City of Kingsport; Cumberland Marketing; Domtar; Food City; Impact Plastics; Jacobs; KBM Commercial Properties; MeadowView Marriott Conference Resort & Convention Center; The Overlook at Indian Trail; and True Line Construction. Diamond: East Coast Wings Grill; First Tennessee Bank; Grindstaff Automotive Group; Hargrove Engineers & Constructors; Symphony of the Mountains Orchestra; University of Tennessee; and WorkSpace Interiors. Platinum: Allandale Falls; Associated Orthopaedics of Kingsport; Baker Donelson Bearman Caldwell & Berkowitz; Bank of Tennessee; BB&T; Brandy Mill; Brock; Brown, Edwards & Company; Chantz Scott KIA; Cline Holder Electric Supply; Coal Energy; Creekside Behavioral Health; Cross Creek; East Tennessee State University; Edwards Tipton Witt Agency; Elite Manufacturing & Professional Services; GRC Construction/CainRashWest Architects; Healthcare Trust of America; Holston Medical Group; HomeTrust Bank; Honda Kingsport; Hunter Smith Davis; Isaacs Pools & Spas; J.A. Street & Associates; JTH Industrial; Kaplan CFO Solutions; Martin Dentistry; Millennium Auto Collision Repairs; Pal’s Sudden Service; Pepsi; Price & Ramey; Regional Center for Advanced Manufacturing; Regions Bank; Spectrum Enterprise; TEC Industrial; The Blake at Kingsport; The Landings; Toyota of Kingsport; Tri Elite Holdings; Tusculum University; Virginia Electric Supply; Wells Fargo Advisors Financial Network; and West & Rose. Gold: Barge Design Solutions; Bristol Motor Speedway; Citizens Bank; Colonial Heights Dental Group; Lincoln Memorial University; NETWORKS; Rodefer Moss & Company; and Wilson Worley. Silver: Anita’s Snack Foods; ARO Creative; AT&T; BAE Systems; Blackburn, Childers & Steagall; Conservus Real Estate Group; Cooper Standard; Cornerstone Village; First Bank & Trust Company; Integrity Capital Management; Luttrell Staffing Group; NHC Kingsport; Powell Valley National Bank; and Tele-Optics. Bronze: Branded; Cigna; East Tennessee Eye Care; Jackson Jones Construction; Katy Lynn Design; King University; KOSBE/Propel; Master Tool & Die; Mountain Region Family Medicine; Mycroft Signs; Reedy & Sykes Architecture & Design; Roan Capital Partners; Saratoga Technologies; S&ME; Smoky Mountain Home Health & Hospice; Town & Country Realty; and Tri-Cities Military Affairs Council. They’ve played for President Barack Obama’s Inaugural. They have performed for Presidents George H.W. Bush, Bill Clinton and George W. Bush. They have played for the President of Nigeria and political figures and celebrities from around the globe. They have played for Eli Manning’s wedding, Ted Turner and Julius Erving. They have played for President Donald Trump’s New Year’s Eve Party for the past eight years…and now the Number One Party Band in the Nation is back again to play for your Kingsport Chamber 72nd Annual Dinner! Voted the Nation’s Number One Corporate and Private Party Band, Party on the Moon custom tailors music, choreography, state-of-the-art production and entertainment to spectacular specifications. Based in Atlanta, the award-winning band performs 70s, 80s, 90s, current dance, pop, rock, classic rock, disco, funk, swing, R&B, Motown and new country music. Party on the Moon performs world-wide for millionaires, celebrities, global company CEOs, top sales executives, discerning brides and national and local philanthropists – even at the Inaugural Ball! But no matter who their clients are, Party on the Moon’s goal is always the same: create the perfect party. The band always performs to create fun, memorable event experiences. The musicians are world-class, the gorgeous female vocalists top-notch, and the lighting, choreography and sound state-of-the-art. So, if you want to launch a party that will simply be OUT-OF-THIS-WORLD…book PARTY ON THE MOON! The HalfMoon TRIO features Mark, Big Papa and Tyrone, (drums, piano and bass), with a repertoire spanning almost every genre of music. The Higher Power Choir, voices of inspirational pop, features world-class vocals and a wide-ranging musical repertoire. With more than 300 album and CD credits collectively, the four-piece FullMoon HORNS are well rehearsed, disciplined and play the arrangements you remember. Working with superstar entertainers is not new to Party on the Moon. Their long list of outstanding recording credits include Maroon 5, Carrie Underwood, Diana Ross Peabo Bryson, Gladys Knight, Roberta Flack, Natalie Cole and Francine Reed as well as tours and performances with Sly & the Family Stone, Alicia Bridges and Martha Reeves and the Vandellas. The band has performed with some of the best, including Journey, Prince, James Brown, Huey Lewis, Three Dog Night, The O’Jays, Peabo Bryson, Lynyrd Skynyrd, The Temptations and Bob Seger. Party on the Moon was founded by musician and entertainer Dennis Smith, who still serves as the band’s music director. Smith has been featured in American Entertainment magazine. For more information on Party on the Moon, go to PartyontheMoon.com.